Cinefilm to DVD Conversion Sussex and UK. We are at present very busy with cinefilm to DVD conversions. As you can see from the picture above. There is a mix of 8mm standard 8 cine film. Super 8 cine film. 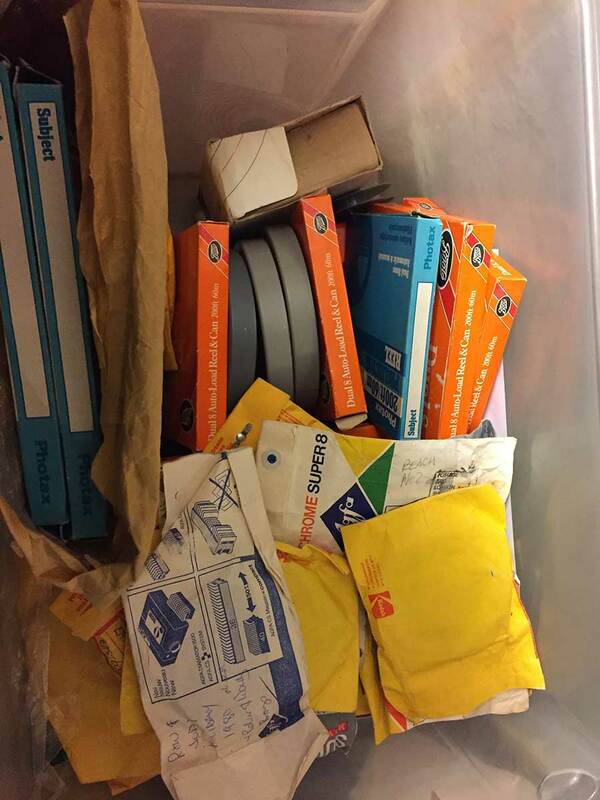 Brands of film Include Kodak 8mm film and Agfa 8mm film. Kodak film was always the better of the brands. When it came to the quality of the film and colour rendition. Kodak used to lubricate the film so it ran through the camera and projector smoother than other brands of film. This transfer provides the customer with a a DVD disc that can be played on a DVD player or computer with a DVD drive installed. This makes viewing of your cinefilm to DVD very convenient. The only downside is that is, if you wish to edit your film. Then you will need to use DVD ripping software to lift the tracks from the DVD. Please remember that DVD is not an HD format. If you want you old 8mm and 16mm films on HD then we can provide HD video files for PC and Apple Mac. If you require an HD disc based format then we can also provide a cine film to Blu Ray service. When transferring 8mm film to HD video there is one matter to consider. Nearly all 8mm film was shot in 4:3 aspect ratio. This means it was shot not in widescreen but a more square picture format called 4:3. HD video is a native widescreen format. so if you wish for HD conversion there are two options. We crop the picture with two black bars at each side of the picture. This maintains all the picture information. We stretch the picture out to the widescreen format. This crops some of the picture information from the original 8mm cine film.